Around 2000 I was a junior manager at ANZ as well as a single mother raising two boys. Talk about full on! Balancing a career along with the responsibilities of home and family life was taking its toll on me. Still, I continued to chase high expectations for myself in the office. Eventually, something had to give. I signed up for a self-development class that asked for our watches at the door. A key component of the class? Meditation. Immersing myself in the program I realized that my work performance was being hindered by my ability to relax and temporarily let go of problems. After learning to meditate I came back to those same challenges refreshed and mentally ready to tackle the rest of the day. It occurred to me that everyone could benefit from this knowledge at ANZ, but it also seemed a bit daunting to bring up what I’d learned in such a conservative, corporate environment. The consequences of a stressed-out workforce certainly affect the bottom line. A 2014 survey by job seeking website Monster.com confirms what we probably already knew: 42% of us have changed jobs due to stress. A further 35% are constantly thinking about it! Would my superiors acknowledge those statistics? 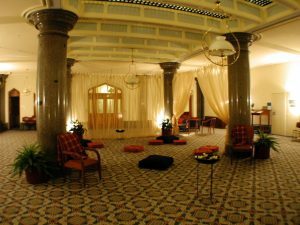 And furthermore, would they consider the idea of a meditation space? Well, it was clear that I was skating on thin ice when I broached the subject. 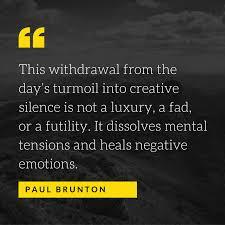 I proposed a “Quiet Room”– a nondenominational setting used for disengaging from the stresses of the day. “This is a bank,” was the response, and from that point on people began mockingly chanting “Ommmmmm,” when I walked by their cubicles. Still, I didn’t give up, which surprises me to this day. As a single Mum, I was taking an incredible risk by pressing the issue with senior management. I was even being threatened with a poor performance review! On a whim, I sat down with a new colleague who is now a good friend of mine, Dimitri. Dimitri was a known vegetarian at a time when that was not incredibly trendy. He seemed open minded– maybe he would listen? I was relieved to find that not only was Dimitri enthusiastic about a quiet space for employees to meditate, he was interested in collaborating with me on the project! He also had an idea of someone else who may be able to help us in our cause—an executive assistant, Catherine. The three of us became fast friends, strategizing a space for the “Quiet Room” within our building and sourcing fountains, plants, cushions, and curtains. Our Mums even came in to help sew and arrange things! Finally, it was time to unveil the “Quiet Room.” We had an opening of sorts one evening and invited employees to come and have a look. To be honest, as Dimitri, Catherine and I gathered to present our space, we didn’t think more than a dozen or so people would show. We were content with the work we had done and weren’t worrying too much about putting on a spectacle. However, instead of the modest crowd we were expecting, about 250 employees began to filter in. Amongst them was Sonia Stojanovic, Executive Head of ANZ Perform, Grow and Breakout, a program designed to promote employee well being. With her endorsement, we were on our way! Dimitri, Catherine and I looked at each other in bewilderment. What should we do? The obvious answer was: meditate! We lead this unexpectedly large group in a meditation. We were further surprised when afterward, we were presented with an award for our efforts. Impressed with our efforts, the CEO of ANZ was recognizing the growing need for work/life balance in the office. 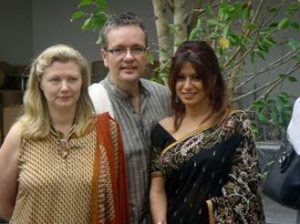 Catherine, Dmitri and I on a special trip to India to visit ashrams. After that my career skyrocketed! We had facilitated a much needed cultural shift at ANZ, making it a place where it was OK to take a break, to quiet our thoughts and replenish our cognitive abilities. More than that, I had found my “tribe” in Dimitri and Catherine, whose support and enthusiasm made me brave enough to continue pursuing the “Quiet Room” when others were not so sure. Our friendship continues to this day. 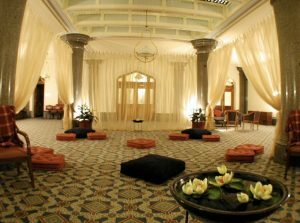 Would you like to implement a quiet room in your workplace environment? 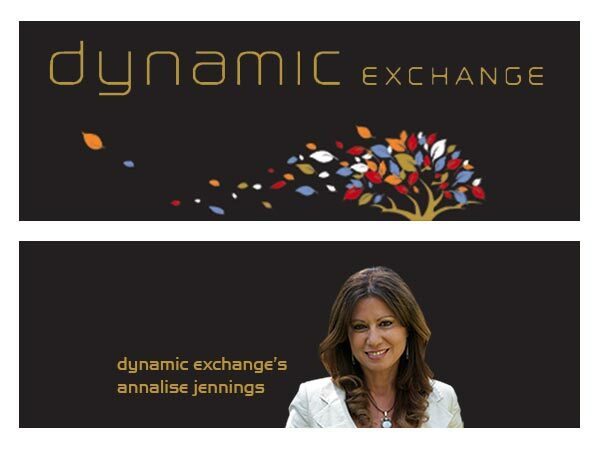 Call Annalise at 0401 031 446 or visit www.dynamicexchange.com.au!